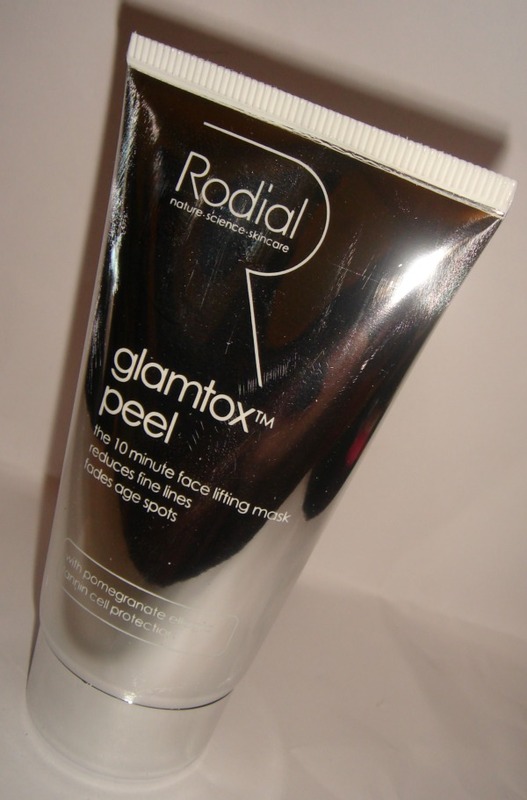 Sophsterlicious • UK Blog: Rodial Glamtox Peel! Rodial is such a Luxury Beauty / Skincare Brand, Their packaging is flashy and eye catching, their array of products promise to do amazing things for your skin, without the need for surgery. 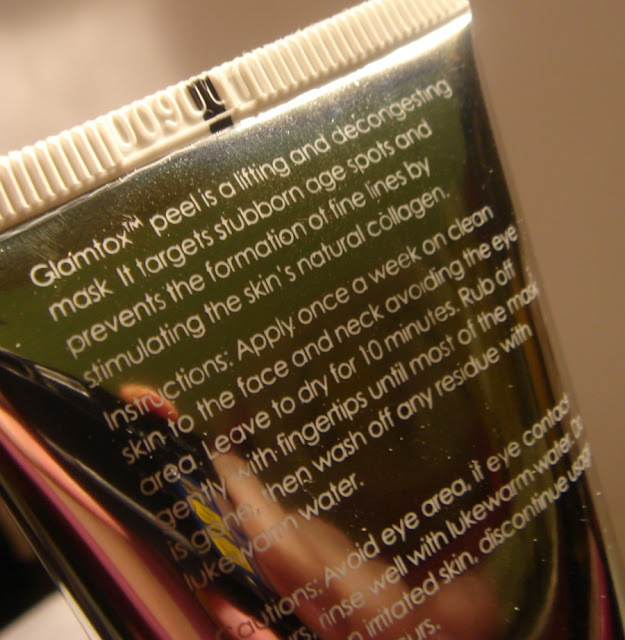 I was recently sent the Glamtox Peel, which is a is a clay face/neck mask that promises to reverse the signs of ageing in just ten minutes. It contains revolutionary ingredients such as Laracare, which firms, lifts and reduces the appearance of fine lines and wrinkles, Fruit Acids to help refine the complexion, even skintone and soften fine lines, this clay mask will illuminate and brighten, even after the first use. My thoughts : This is a thick luxurious cream that smells really pleasant. You apply it to clean dry skin and leave it on for ten minutes. This mask is a thick consistency and it thickens up even more when applied to the face as it sets. After about five minutes it starts to tighten as it dries, but not uncomfortably. You don't need much of this to cover your face. Just a thin layer does it, go easy with it and take time to spread it on. After ten minutes I began to rub it off with my fingers and it just peeled away, like dead skin would. I then rinsed my face with lukewarm water and was instantly wowed at how smooth my skin felt. It honestly looked different, like it was brand new. It was bright, uplifted and it felt SO plump and smooth. It's not often I use something that I notice such results on, but this is fabulous. I know at £70 it's very pricey, but it is only recommended to be used once a week (Like a weekly face lift!) and you really don't need much to cover your face. It's a delight to use, and such a special luxury item for special occasions. I know that my mum is going to love this, so guess what she'll be unwrapping on Christmas day! *Shh! * I'll be honest, I also have a little list of goodies I would love to try from the site, Including the Glamtox Balm, Moisturiser and the Snake Serum! This is available online from here. It's so costly but it sounds very good. I think I am tempted. You enabler!